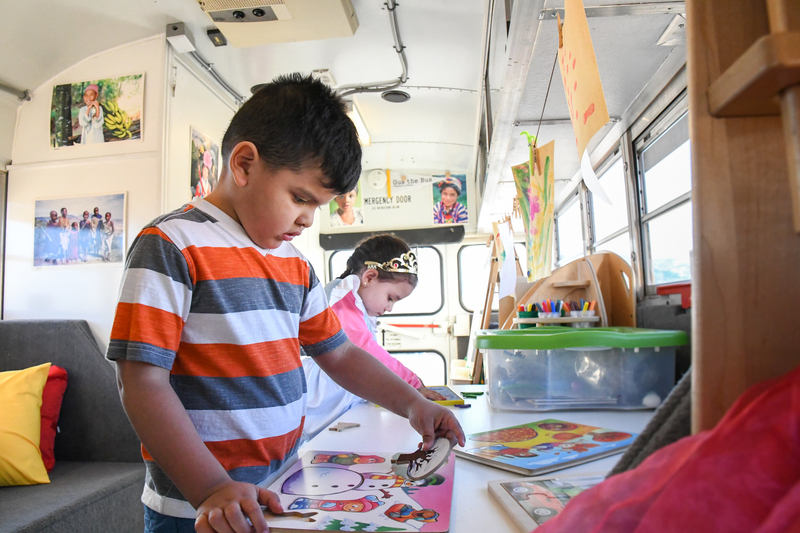 This week Gus the Bus and The Sunshine Bus became media darlings, along with their wonderful teachers and students and a generous donor from Natural Soda. Kirk Daehling, general manager of Rifle-based Natural Soda Corporation stopped by the bus to see the value of his $10,000 donation to ACF’s Preschool on Wheels program. We are very grateful for his support, and glad that he could see the bright beneficiaries of his investment in our region’s youth!